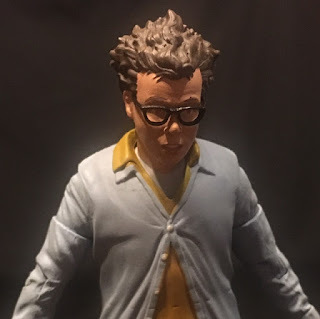 We've come to the other figure I bought with Dana Barrett, Louis Tully. This guy is awesome, just look at him. 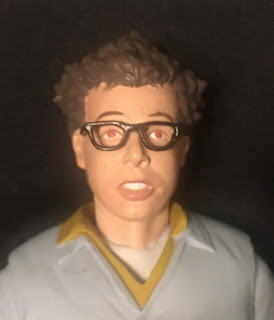 They nailed both Rick Moranis' likeness as well as the look of Louis. Like Dana, I paid 10 bucks for him which is a pretty good deal. 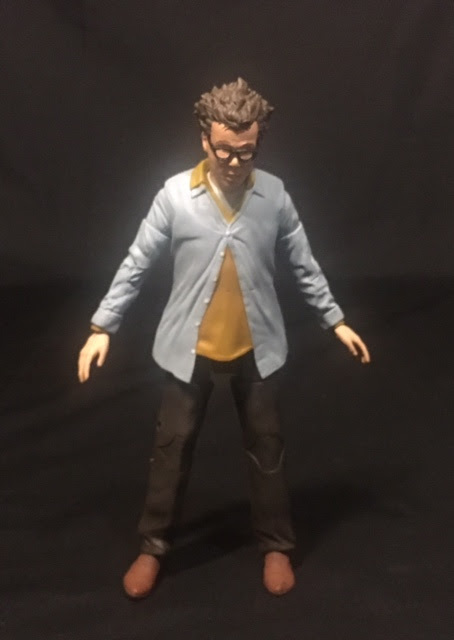 This action figure is based on the scene when Louis is possessed by Vince Clortho. Louis is part of the first series of figures which also includes Ray Stantz and Winston Zeddmore. The scenes in the movie when Louis looked like this are when he's running around talking to horses and at the end of the movie on the rooftop. Like I said he looks awesome, his likeness and clothing look perfect. They even have his eyes painted red. Other than the roof pieces, Louis comes with no other accessories, not even a different set of hands. I'm ok with that because they nailed him but there is one thing that was wrong with him. His left leg was so stiff that I thought I was going to break it when I tried to move it. Eventually, I got it to move a little bit and all was good. 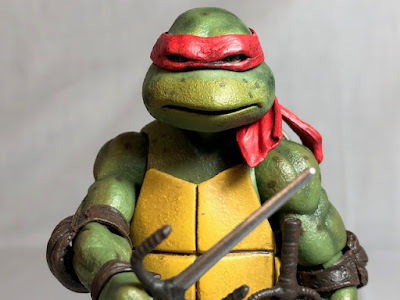 It's a great world we live in when we can get an action figure for a side character from a 33-year-old movie. Not that I would have wanted him when I was a kid but never the less Louis is cool and I'm glad I got him. Louis Tully has redeemed my doubts I had with the other figures so I will be continuing buying these guys.